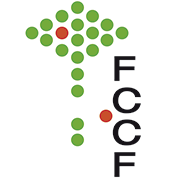 The facility have established a FCCF data-transfer server together with EMBL IT service, to temporally storage the data from the cytometers while users transfer their experiments to their own group server. Only registered users can log into the drive, access is granted by facility members after request. Once you have finished your sample acquisition, data should be exported from the instrument to the FCS folder and from there moved to the FCCF data-transfer o directly to your group server. After you transfer and verify the data in your group server please delete the experiment from the FACSDiva database (browser window) and FCCF data-transfer server. In order to ensure reliable use of the instruments, all data from FACSDiva database will be deleted the first Monday of every month. A reminder to export/save your data will be sent by email (FCCF-users) one week before the deletion. Data from every sort we peformed is also uploaded in the FCCF data server, for you to archive the files on your group server. Select the “sorting_service_data” folder and double click in the folder named with the year and instrument name, then select your group’s folder and look for a folder with your name. You will find the files arranged by the experiment date. To log in, you have to use your general EMBL user name and password. PC users, please remember to put the “embl\” domain before your user name. (Example: embl\paulsen). Note that the FCCF data server is only for transfer. All files will be automatically deleted after one month. You will receive an automated email 2 and 1 week before deletion. Also available in hardcopy format in the protocol folder besides the LSRFortessa.